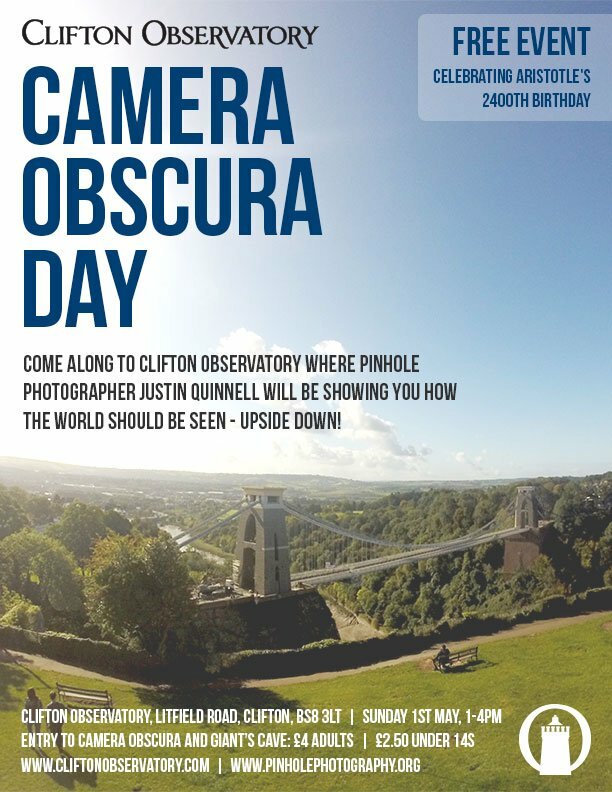 In celebration of Aristotle’s 2400th birthday, come and take part in a day of fun with cameras at Clifton Observatory. 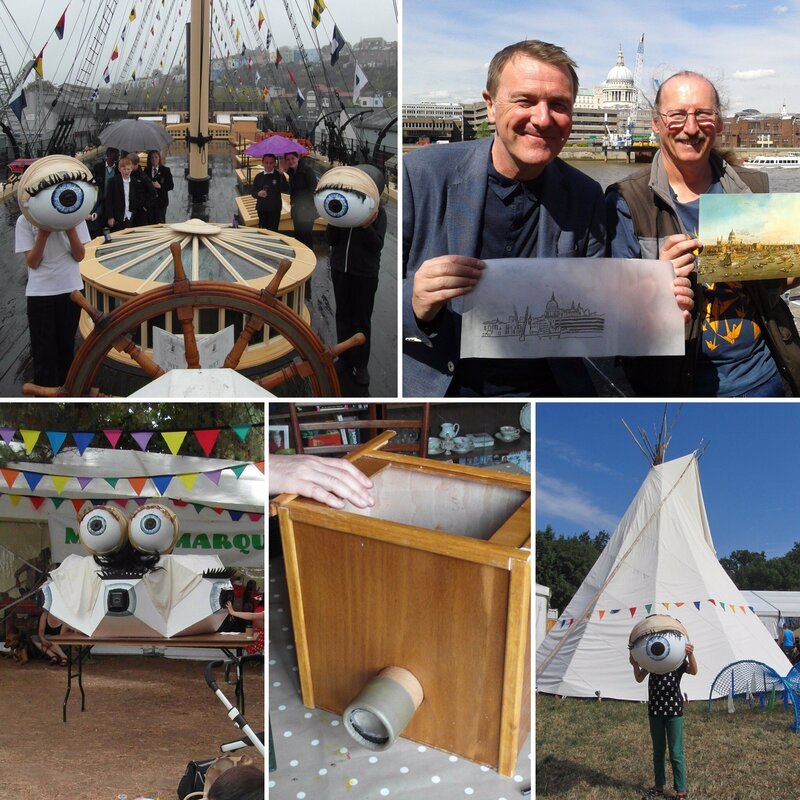 Find out how to make your home into your own ‘walk in’ camera obscura! 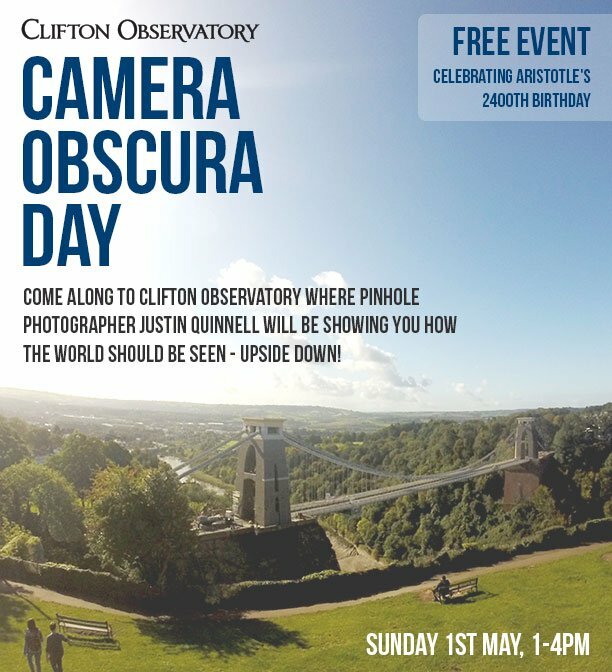 Come along to the Clifton Observatory on the Downs from 1pm till 4pm on Sunday 1st May (bank holiday weekend) where pinhole photographer Justin Quinnell will be showing you how the world should be seen – upside down! This is a free event, taking place outside the Clifton Observatory. Entry to the Clifton Observatory Camera Obscura and Giant’s Cave is £4 for adults and £2.50 for children under 14.